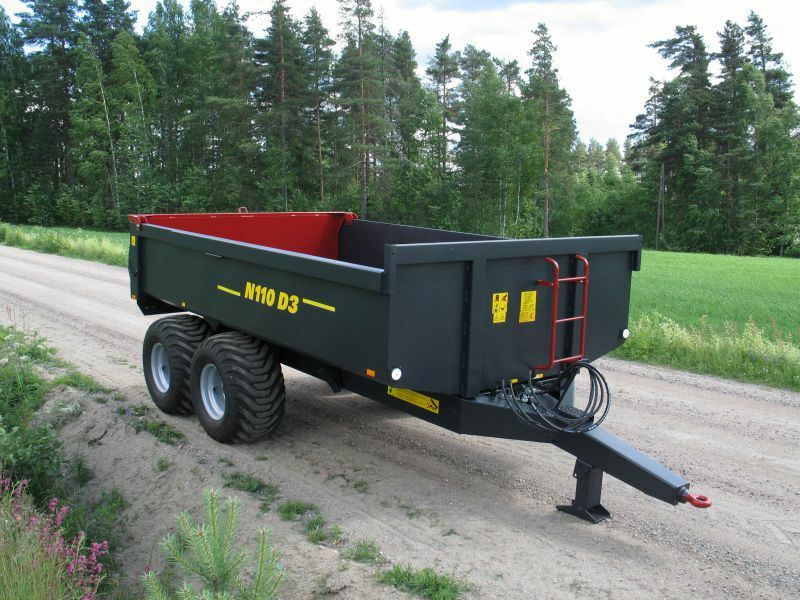 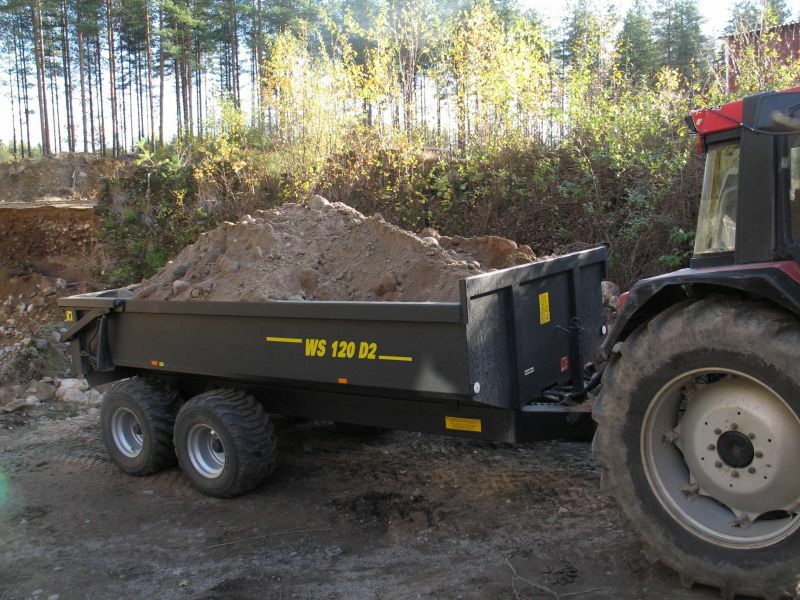 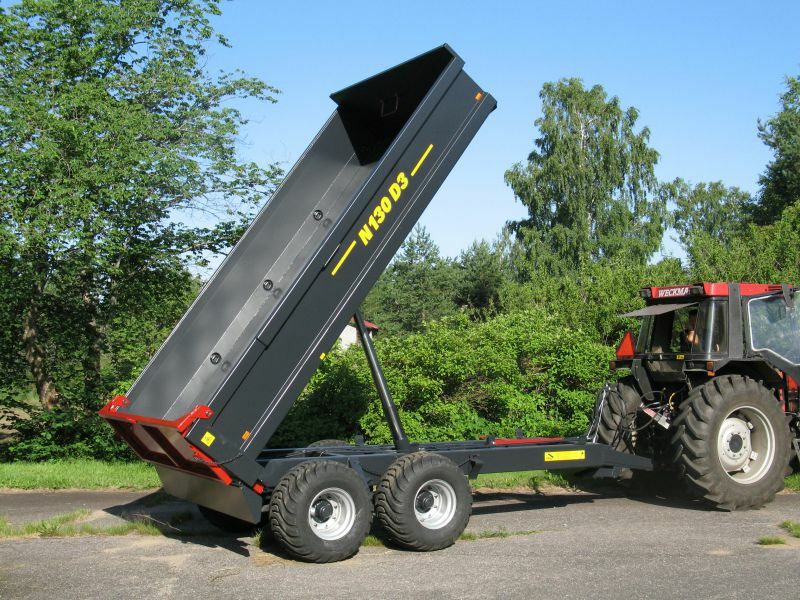 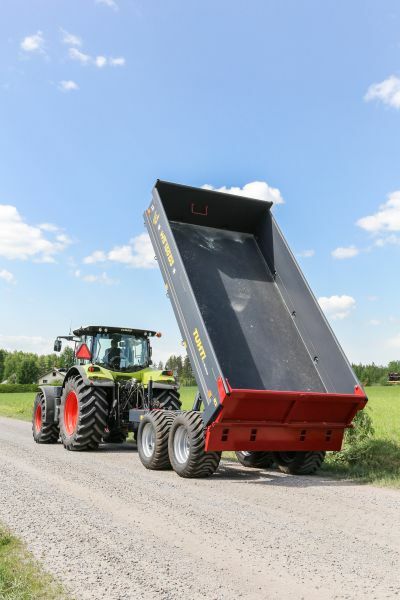 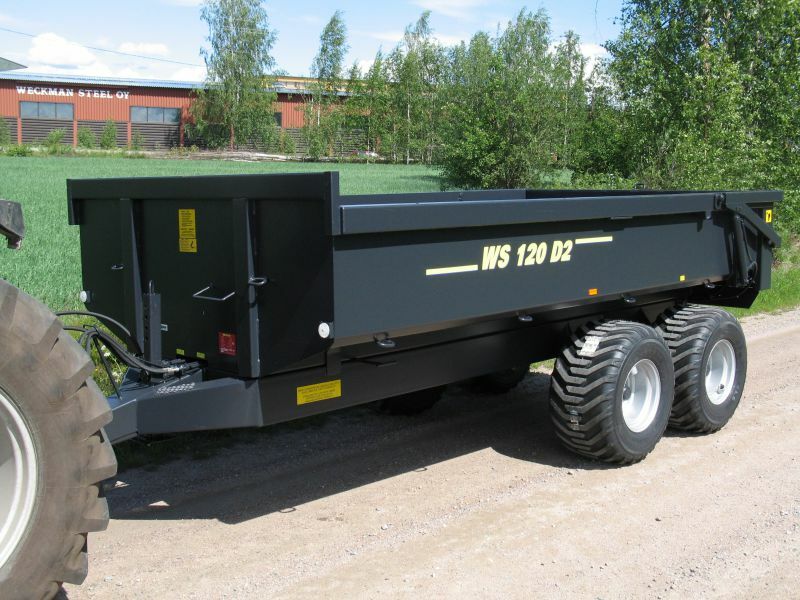 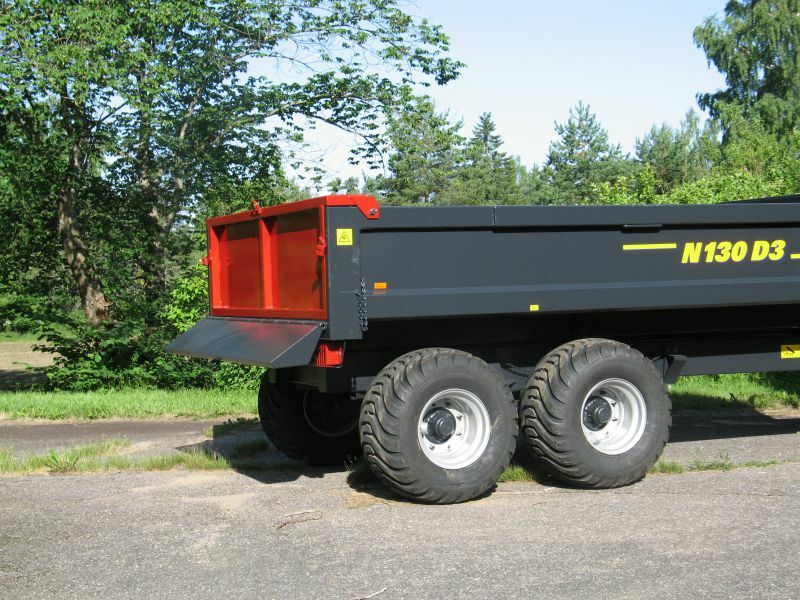 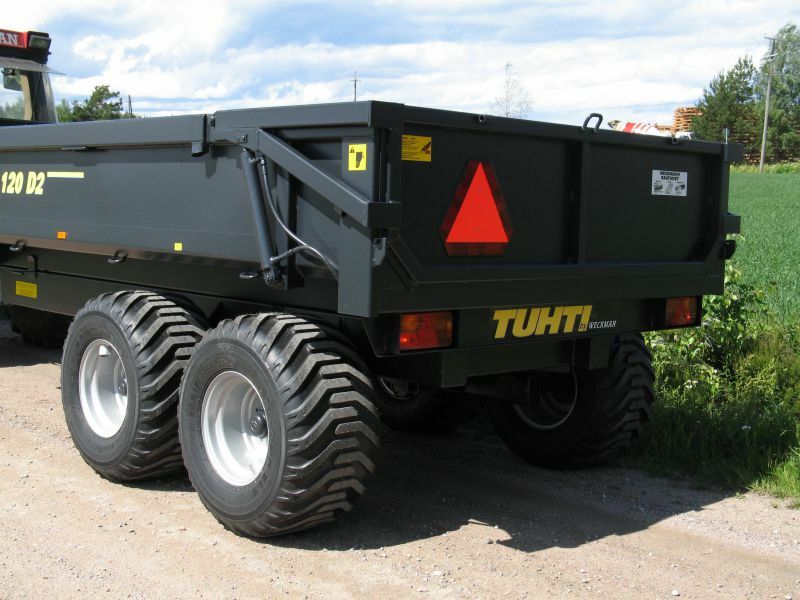 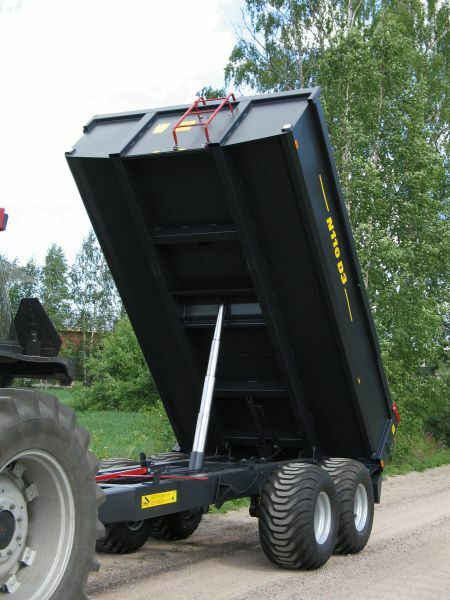 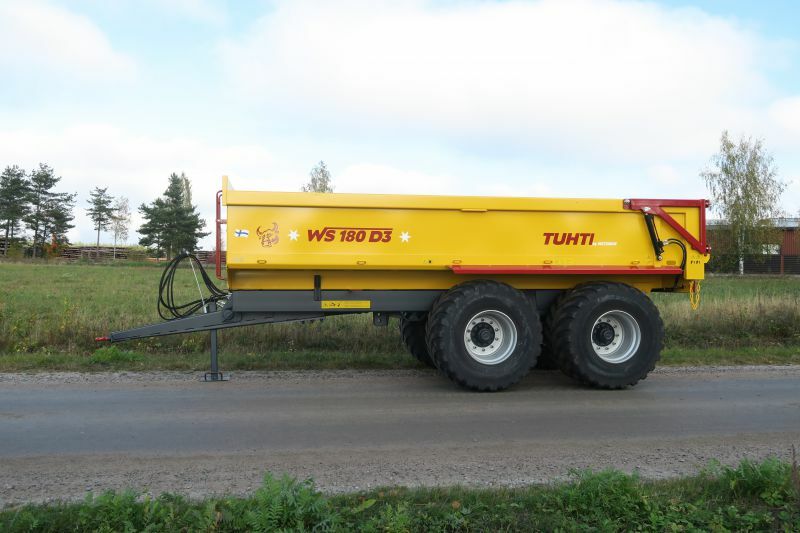 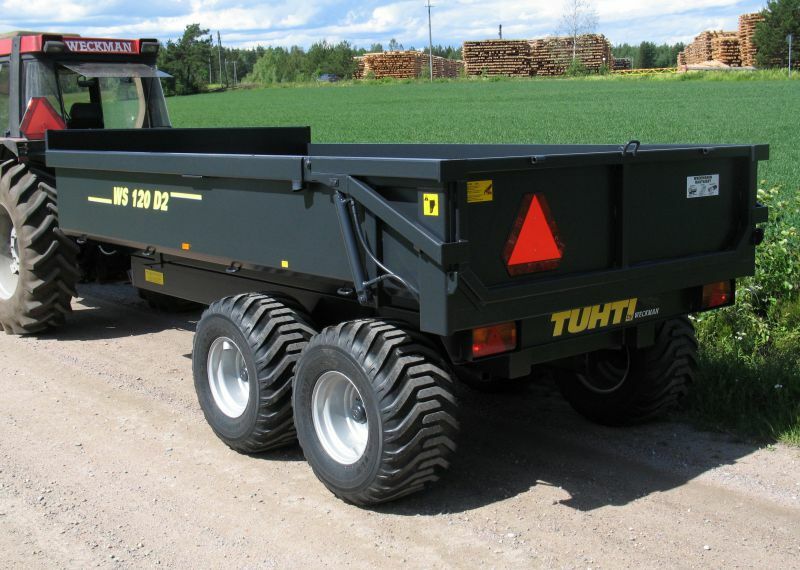 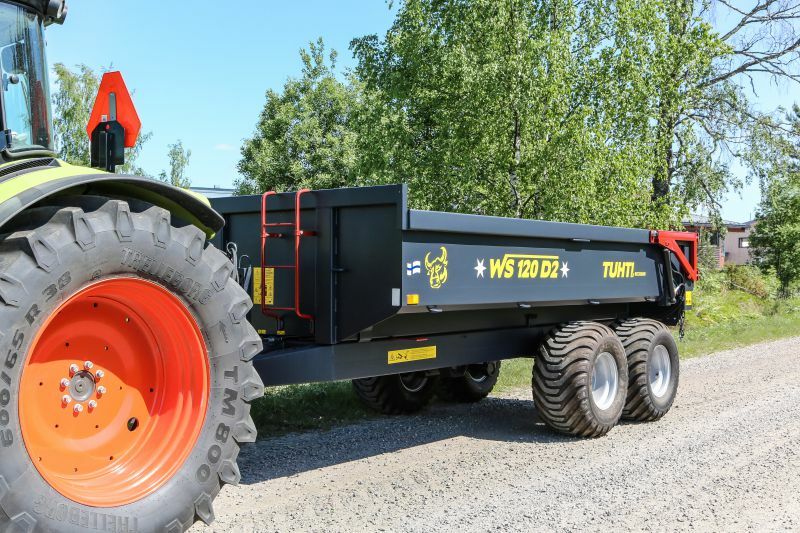 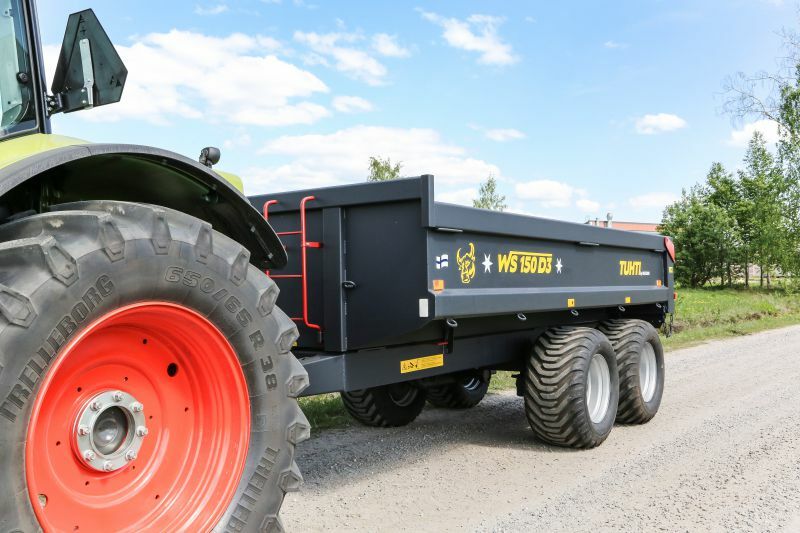 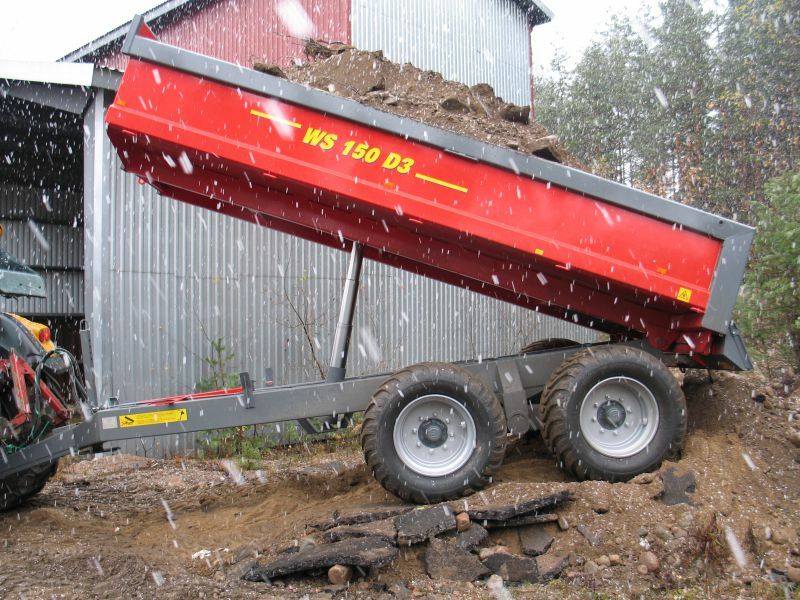 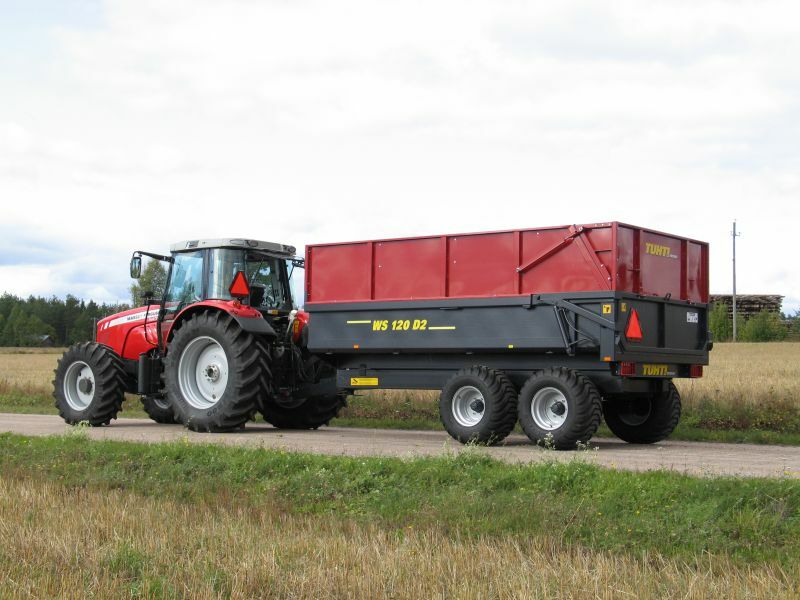 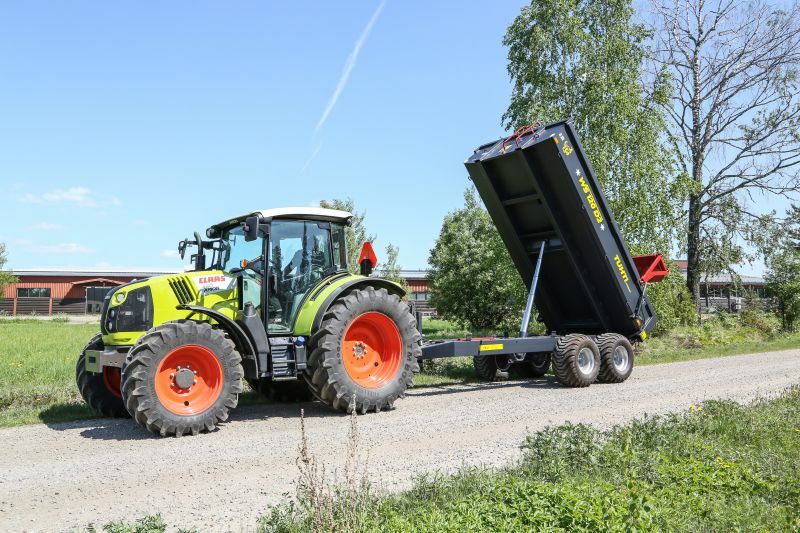 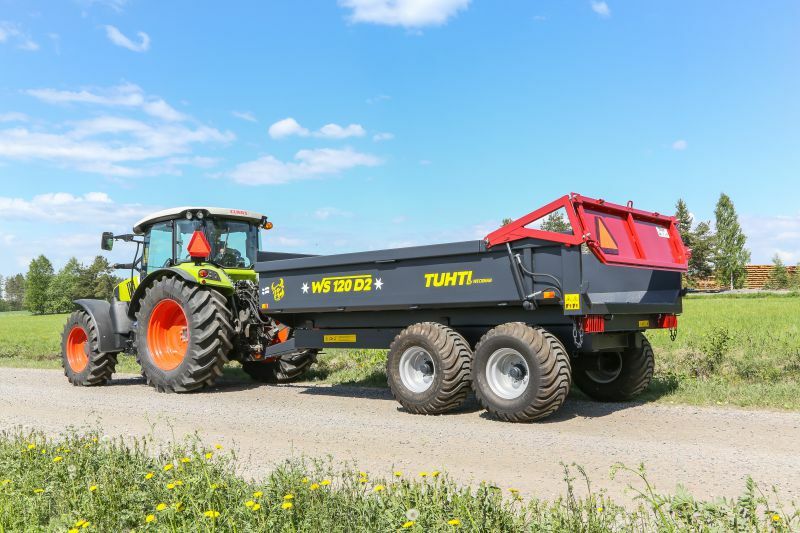 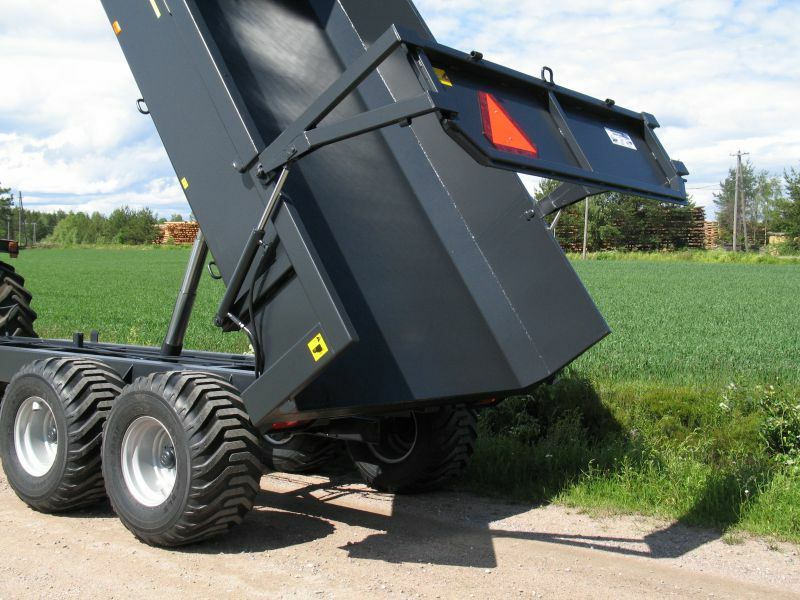 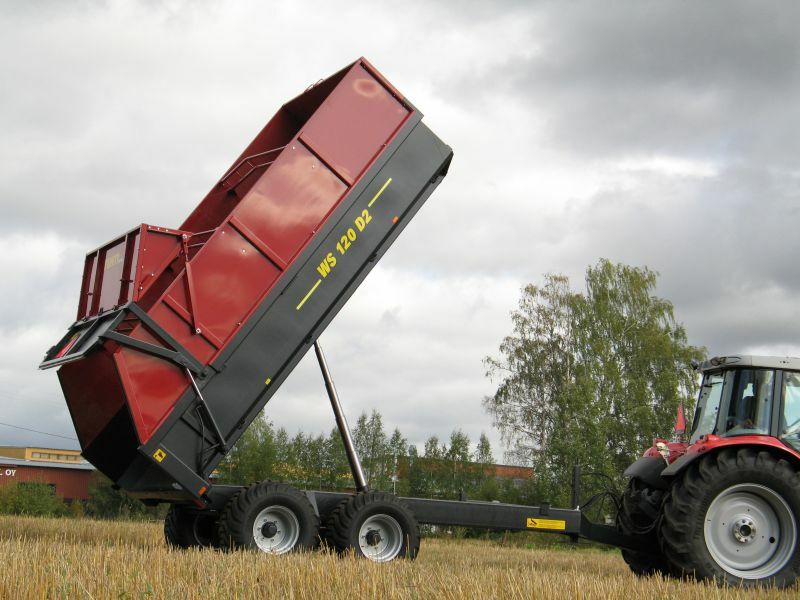 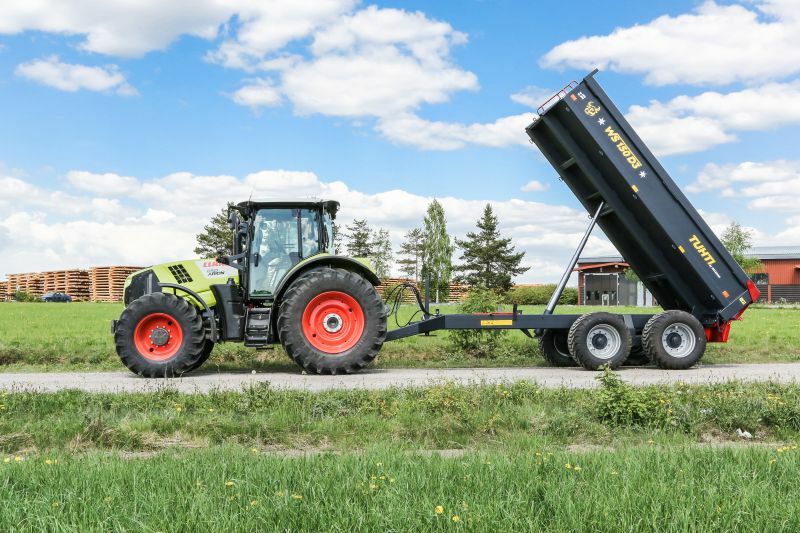 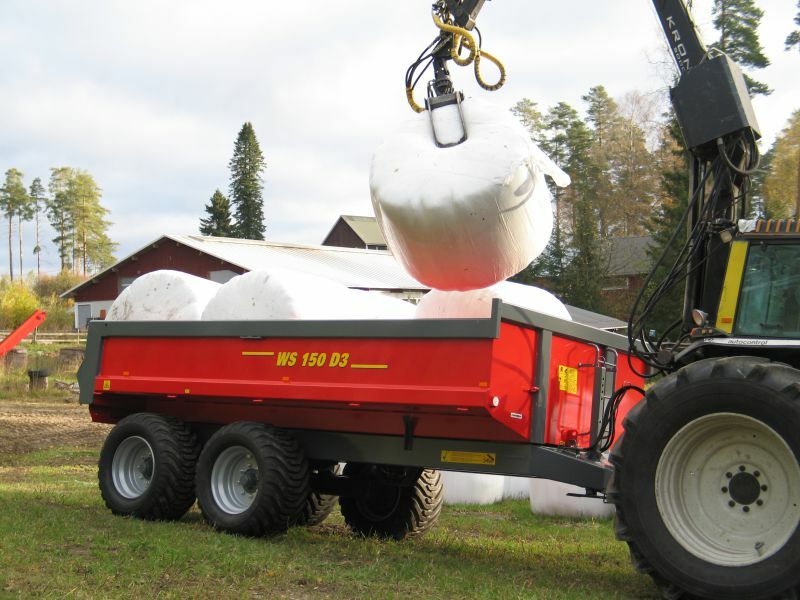 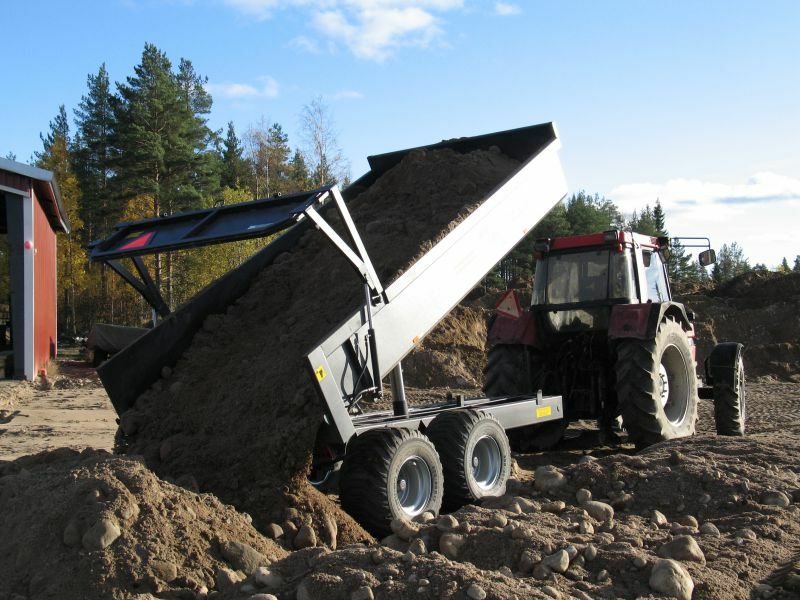 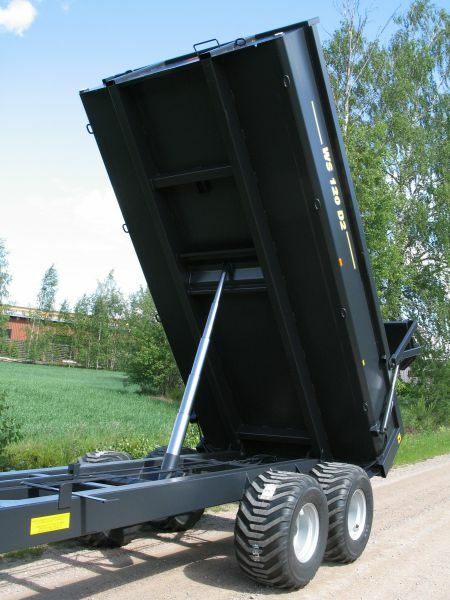 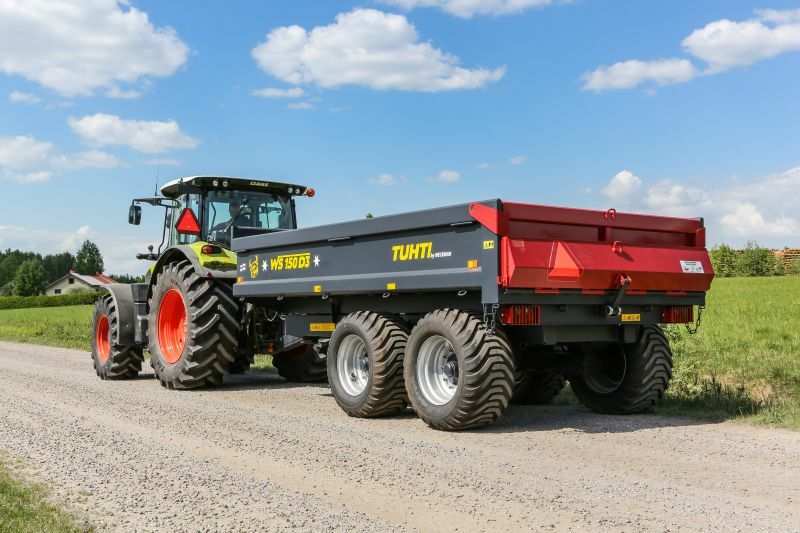 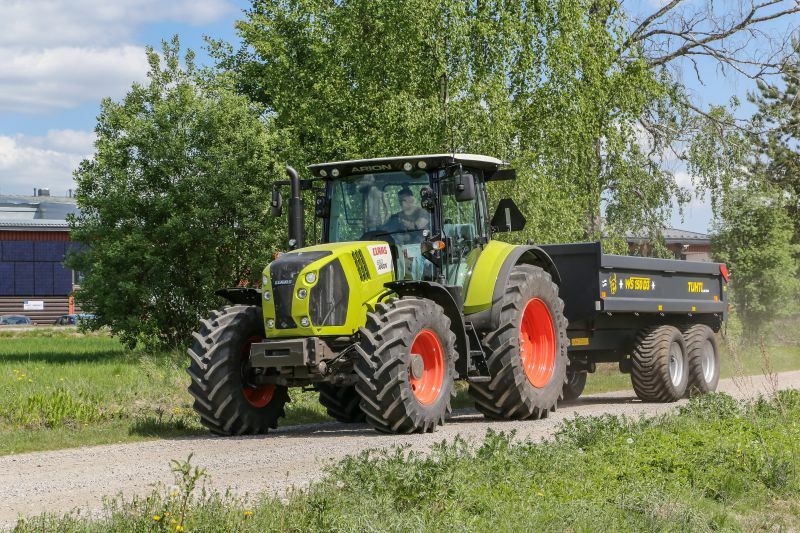 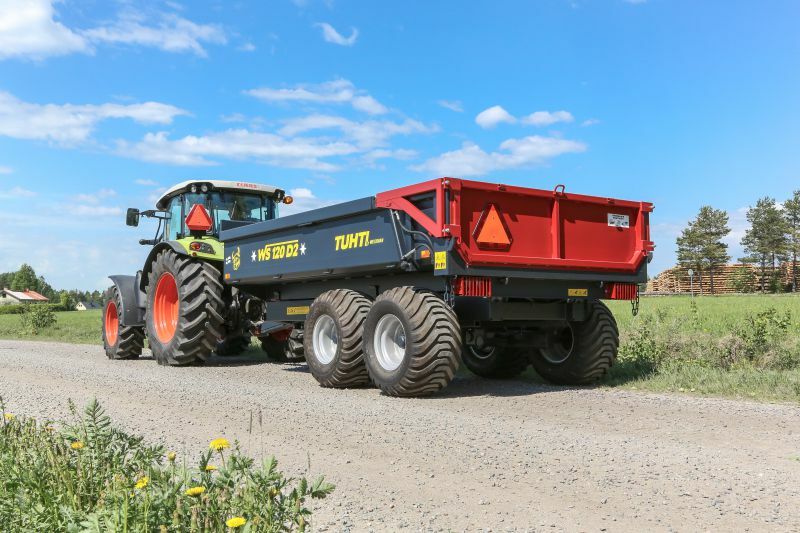 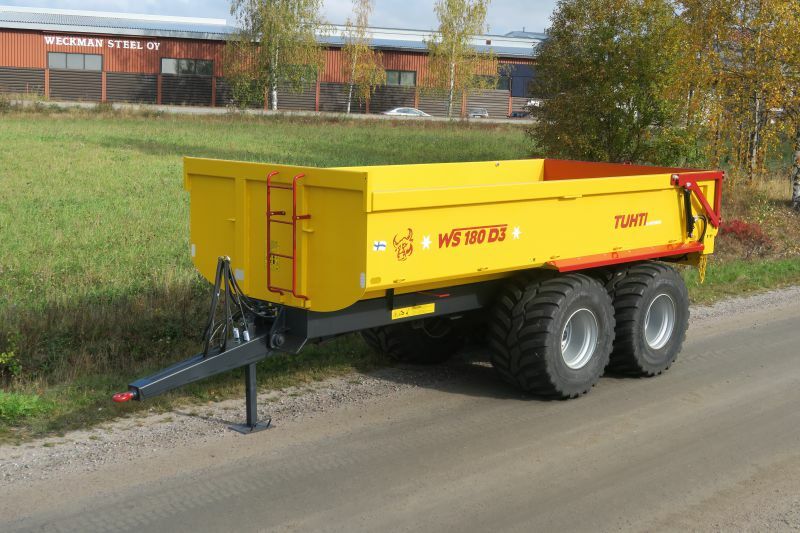 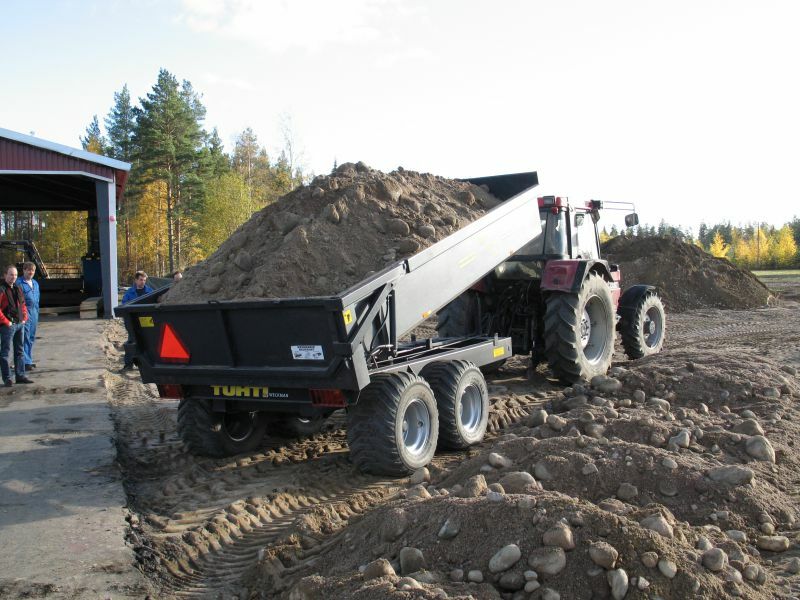 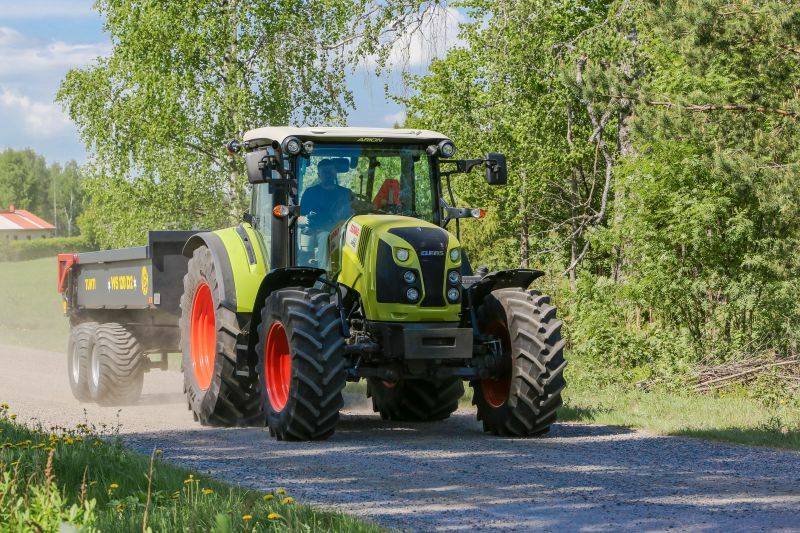 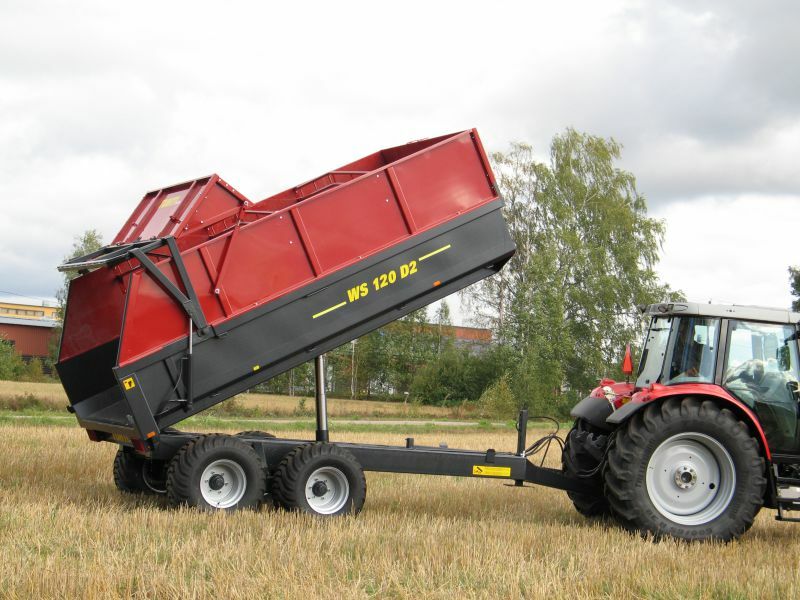 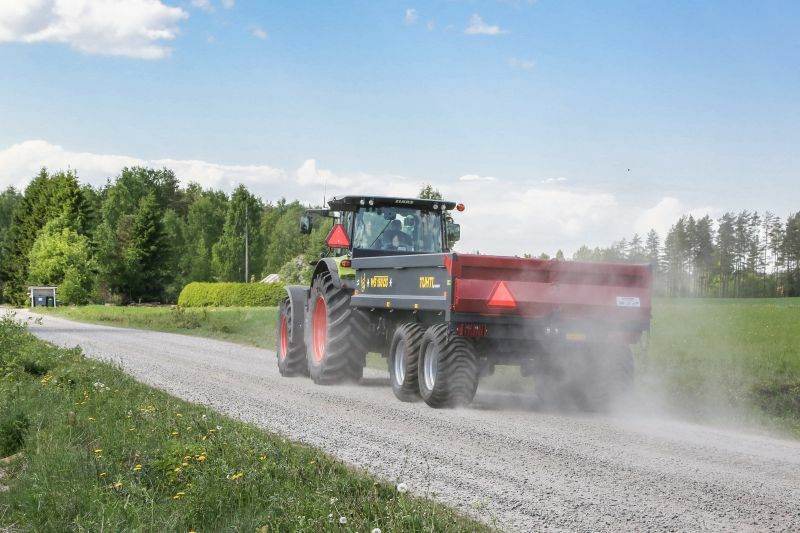 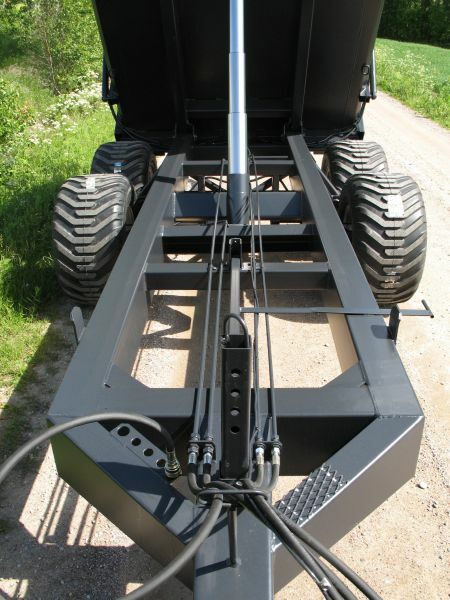 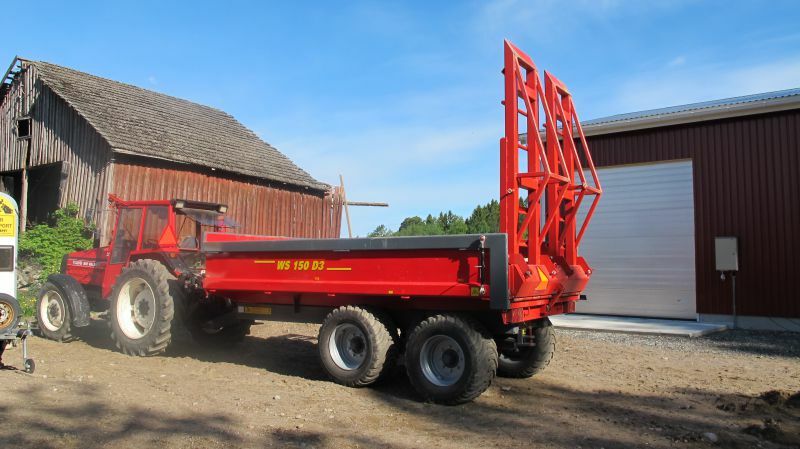 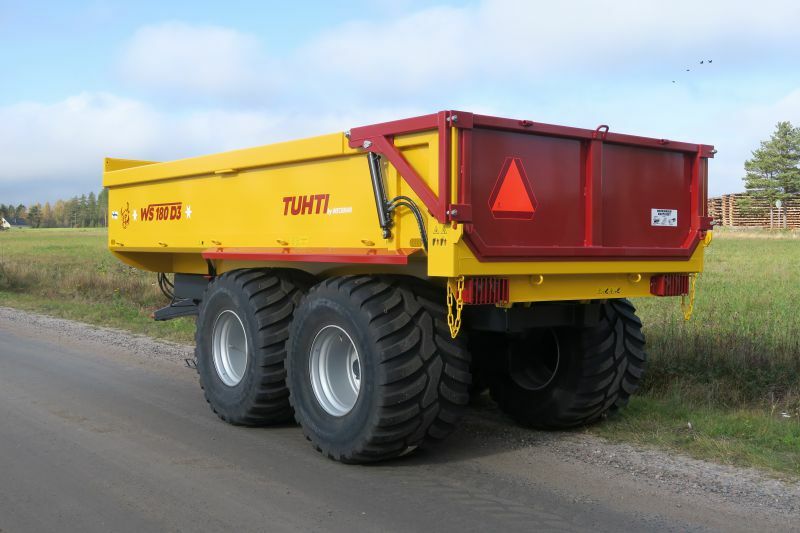 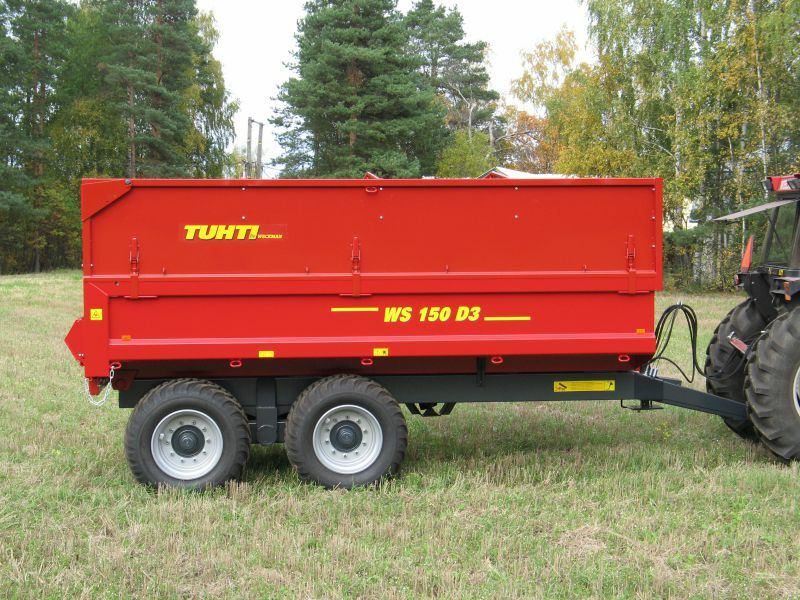 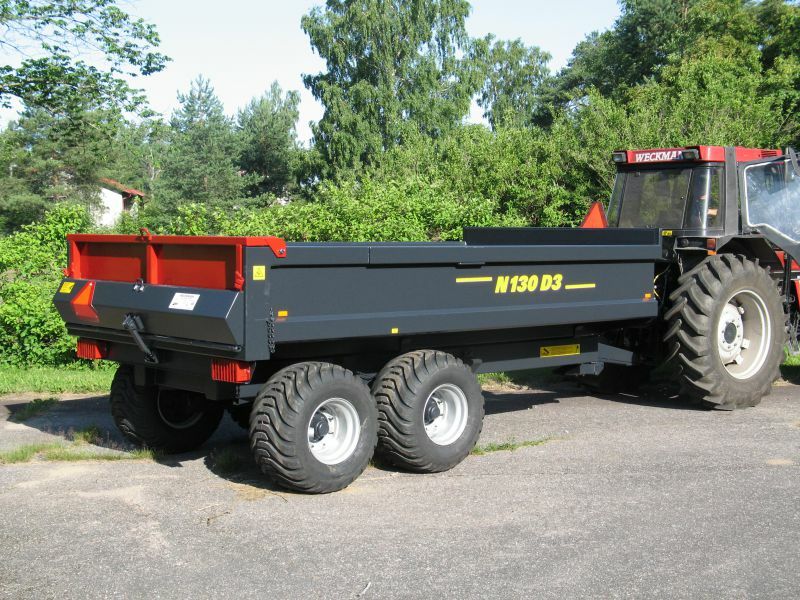 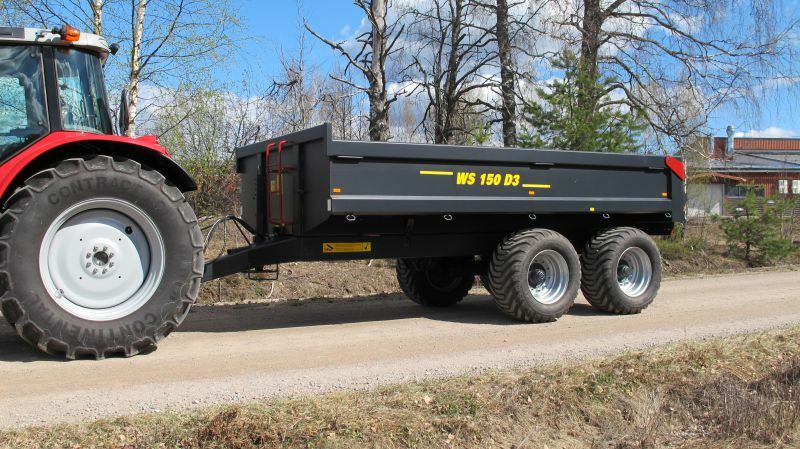 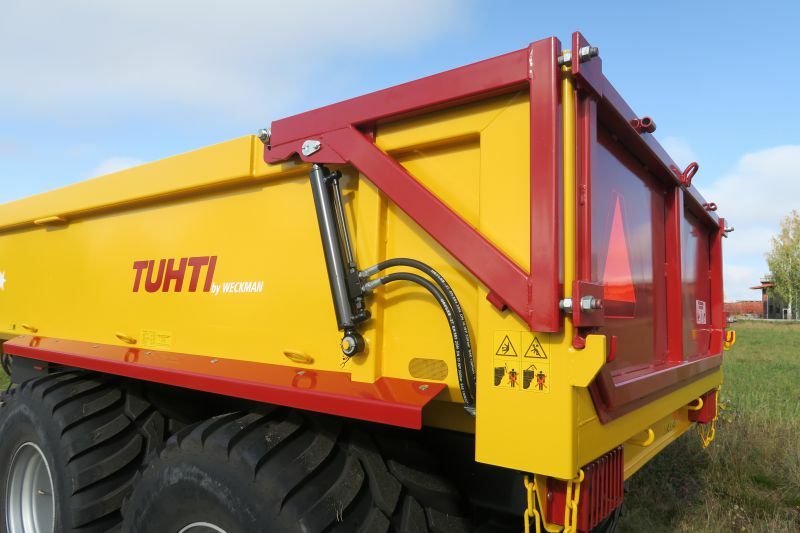 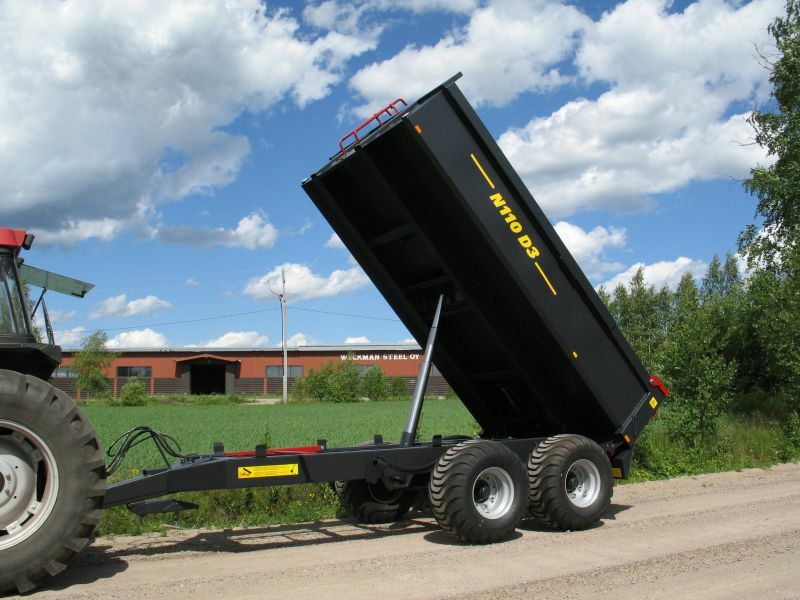 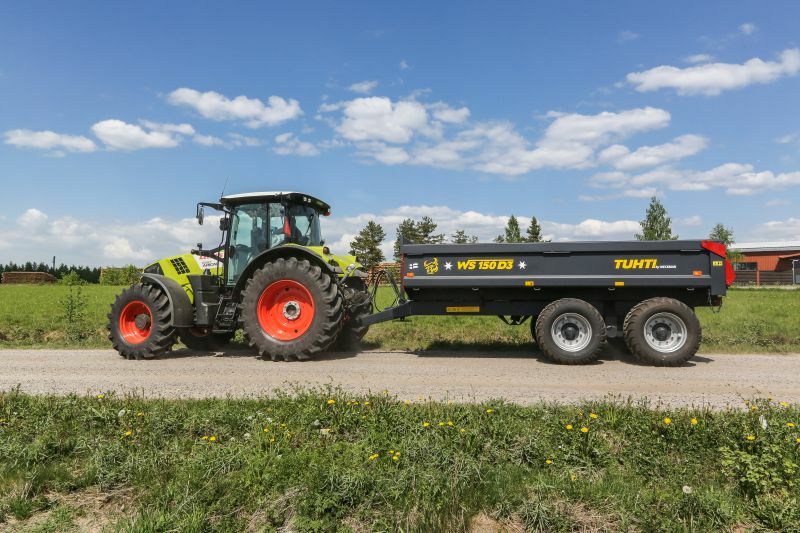 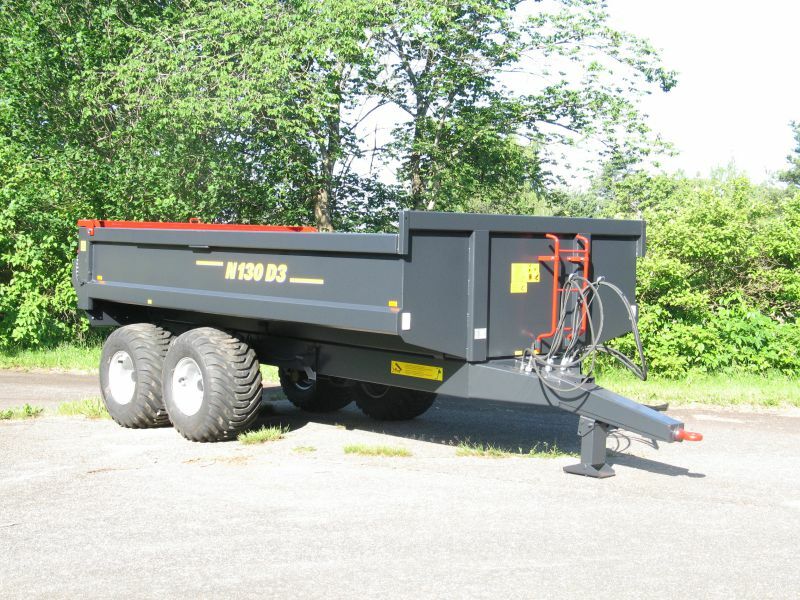 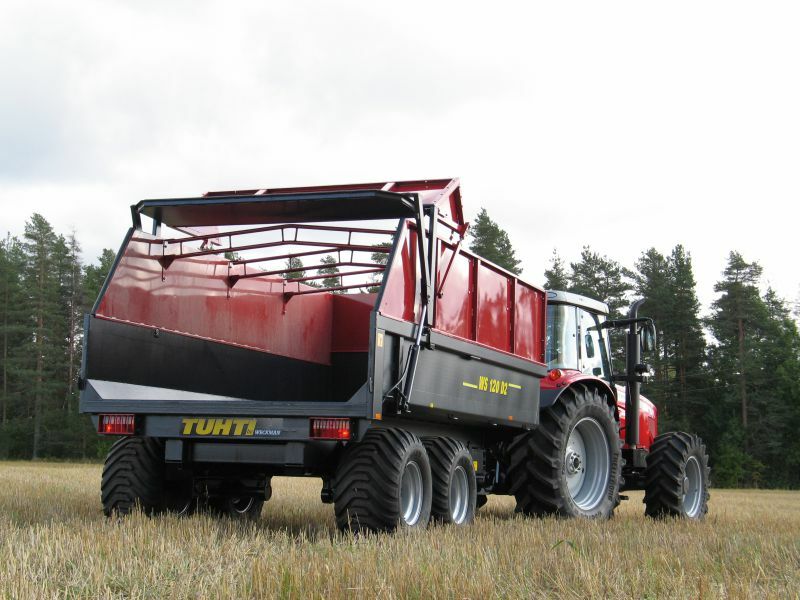 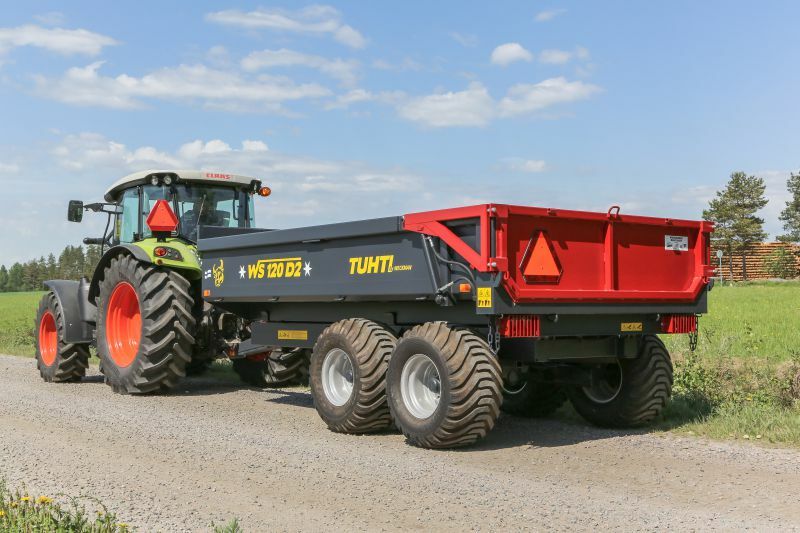 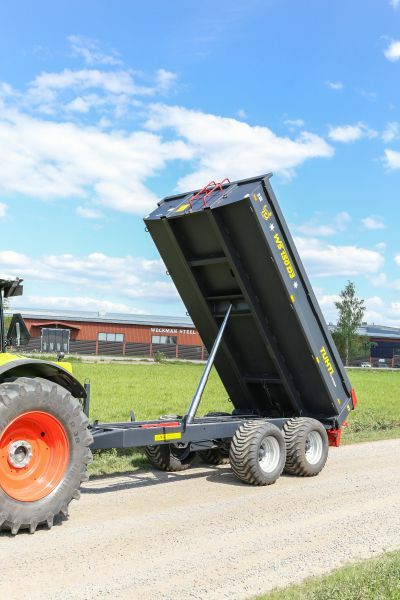 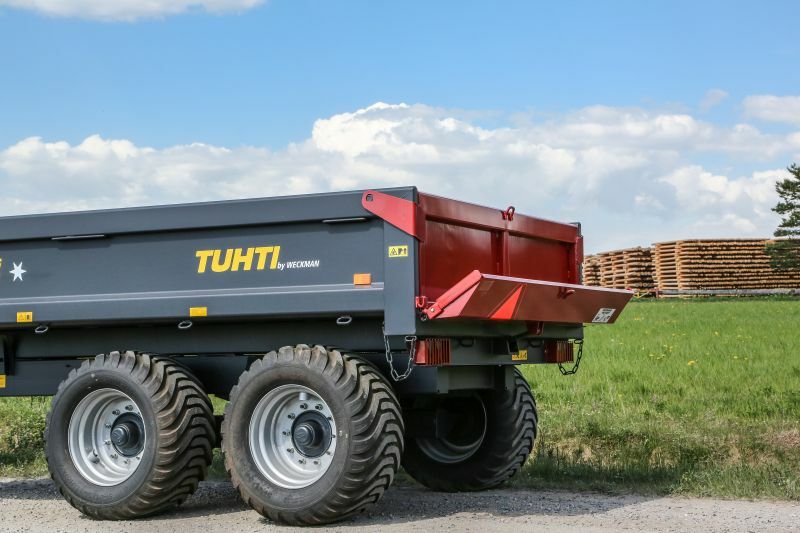 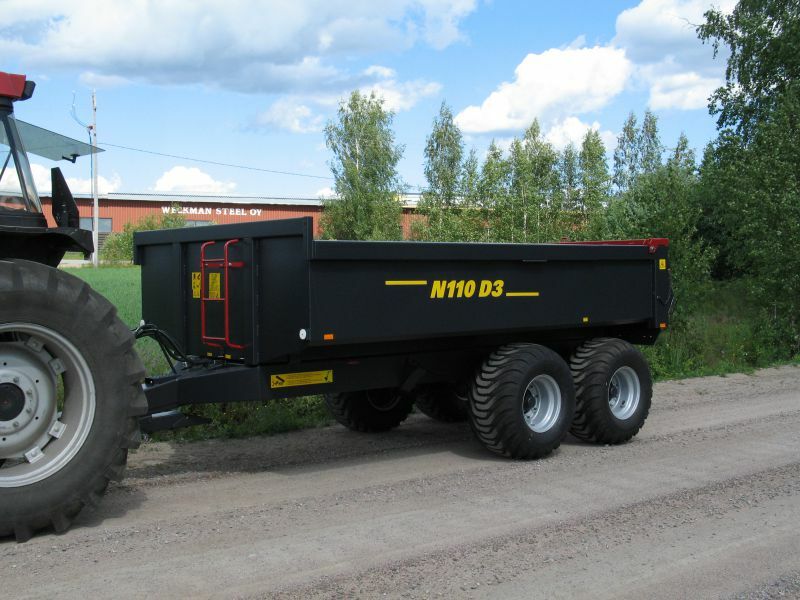 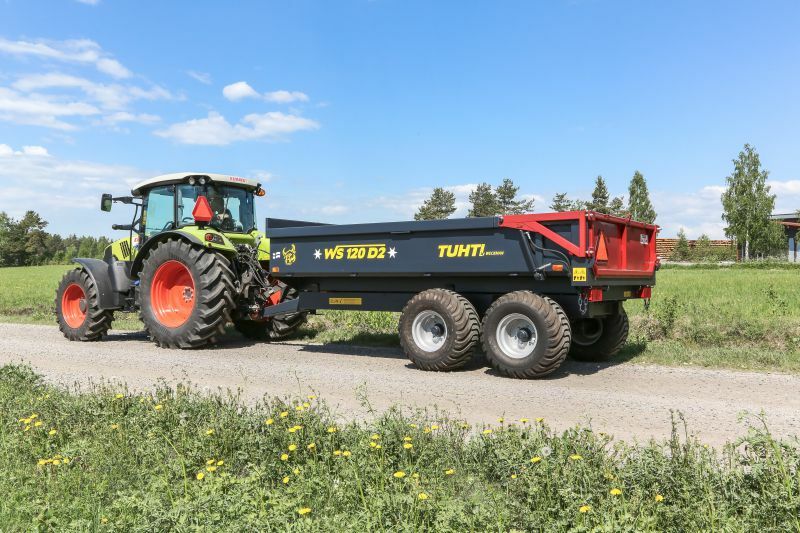 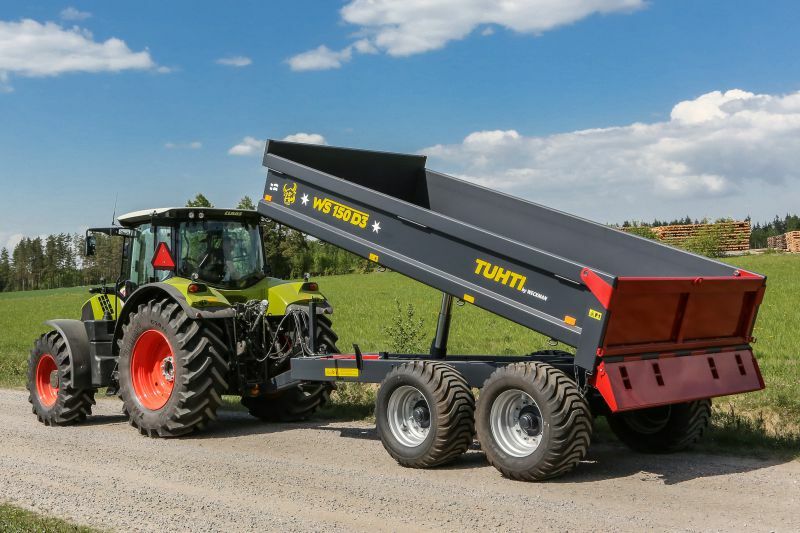 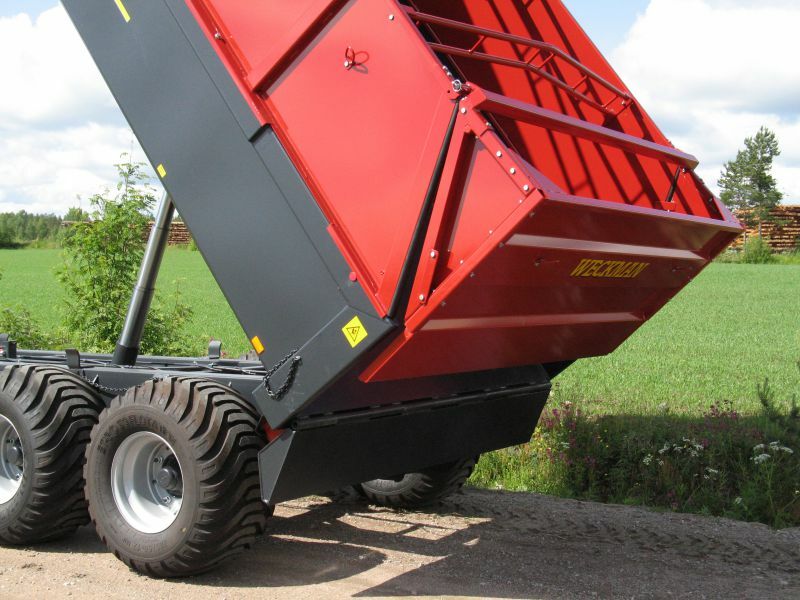 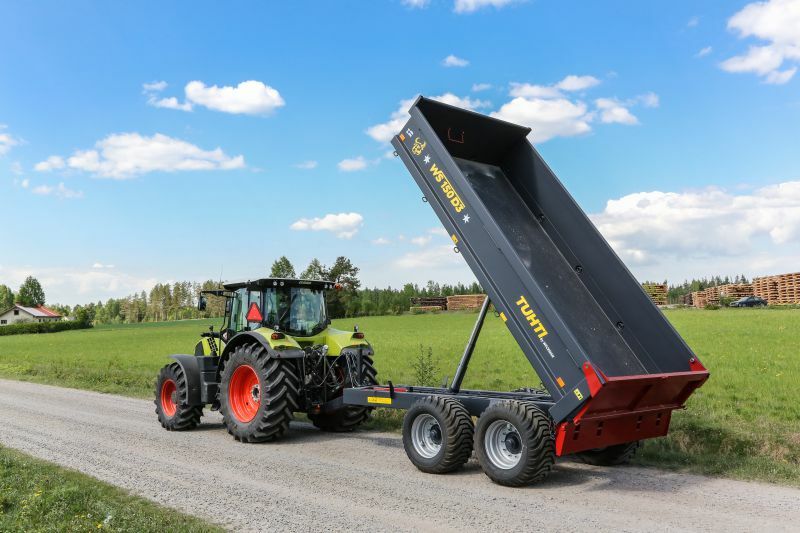 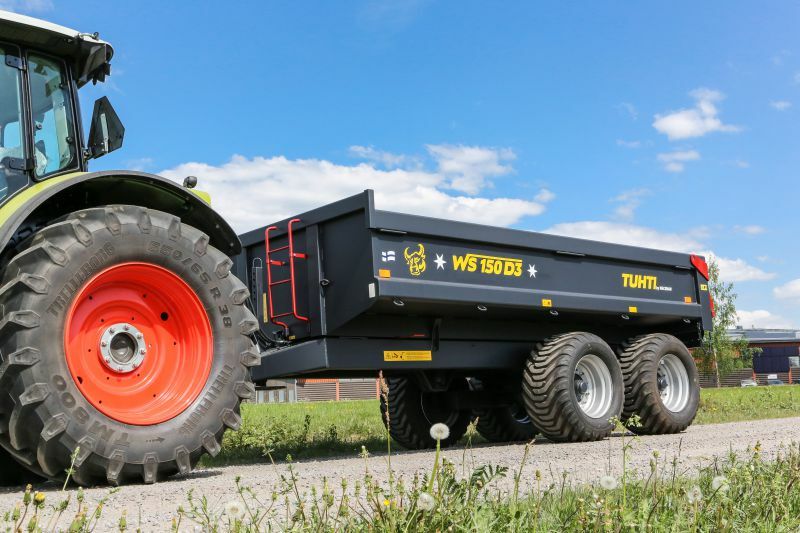 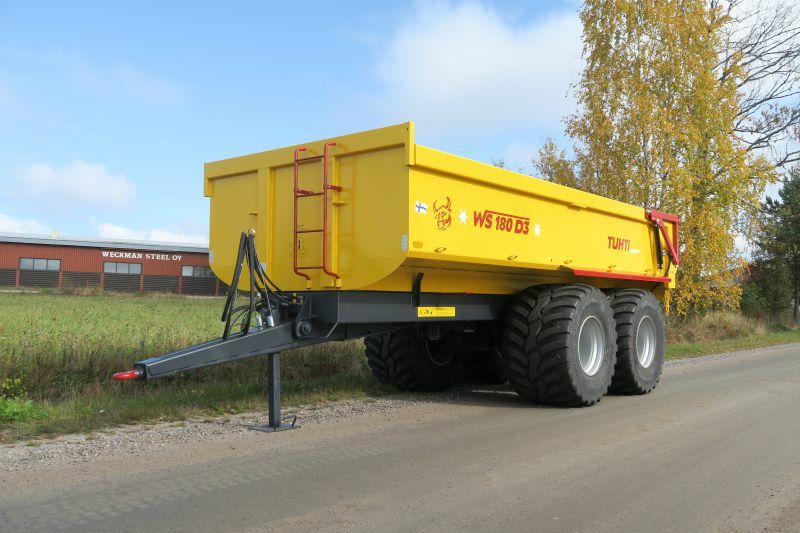 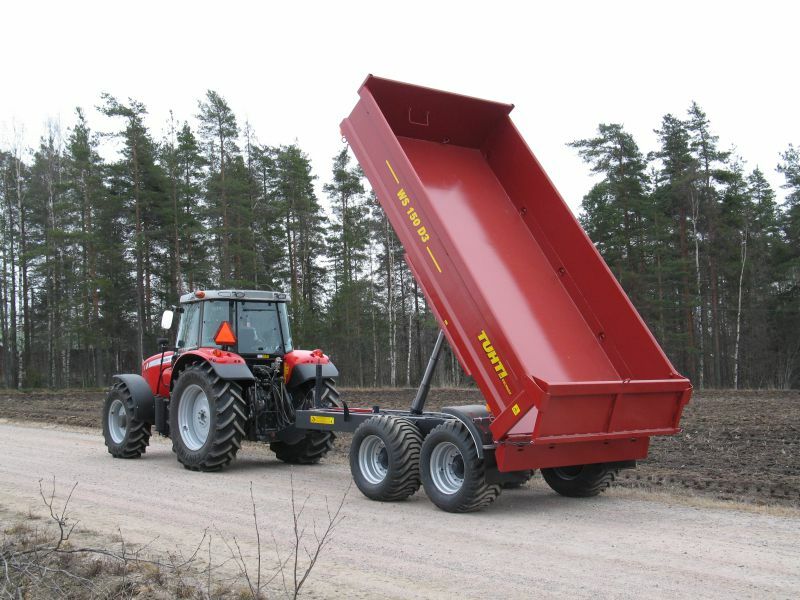 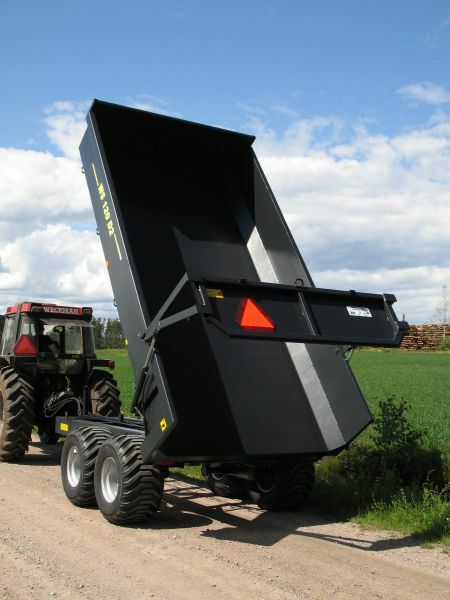 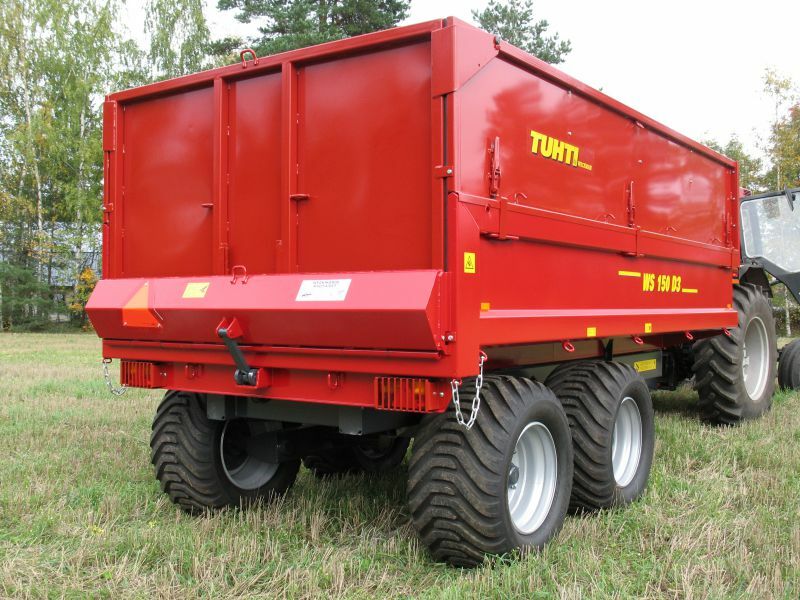 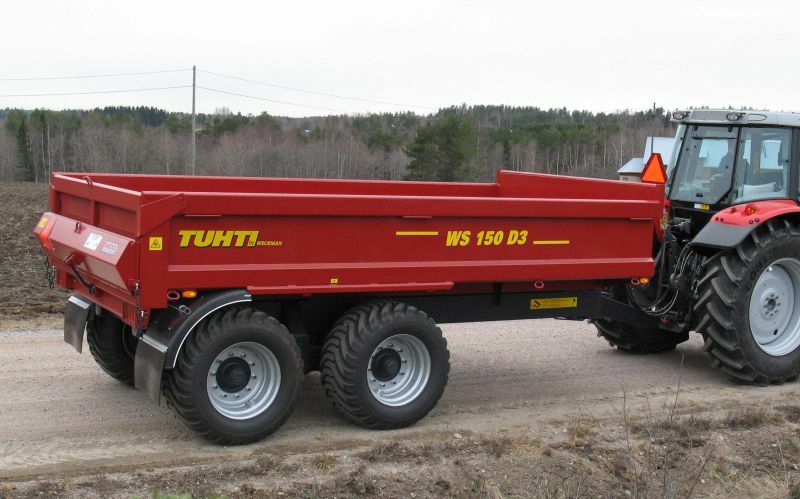 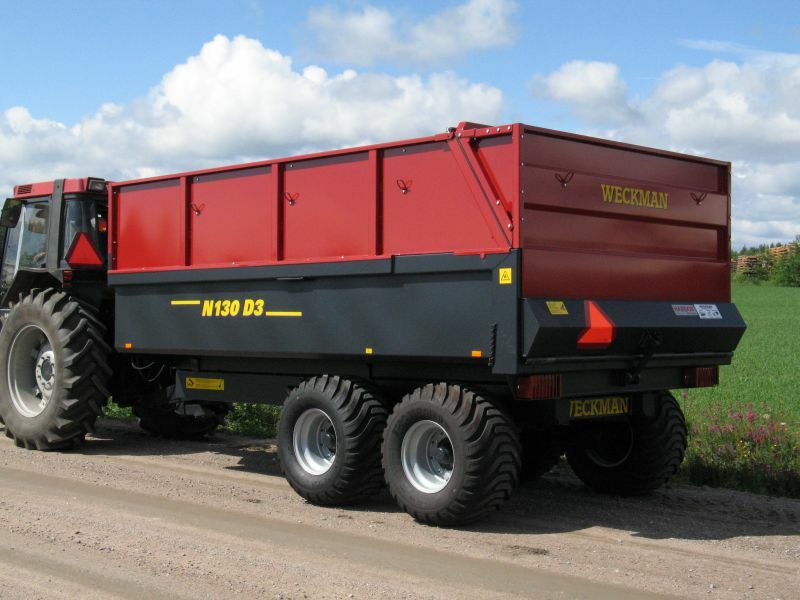 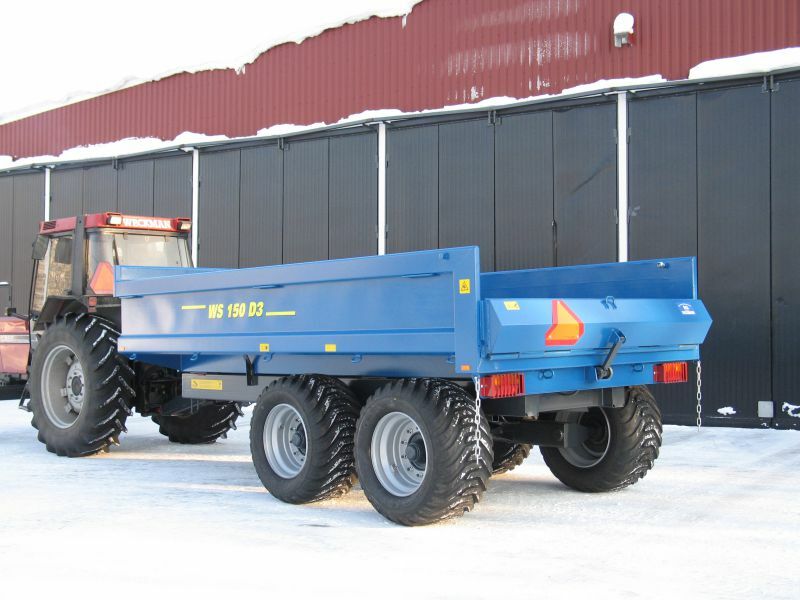 TUHTI earth-moving trailers are designed for challenging applications. 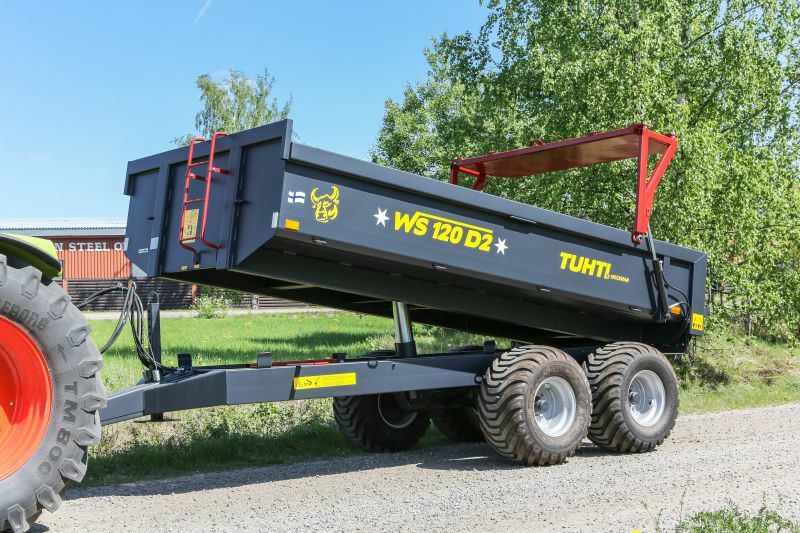 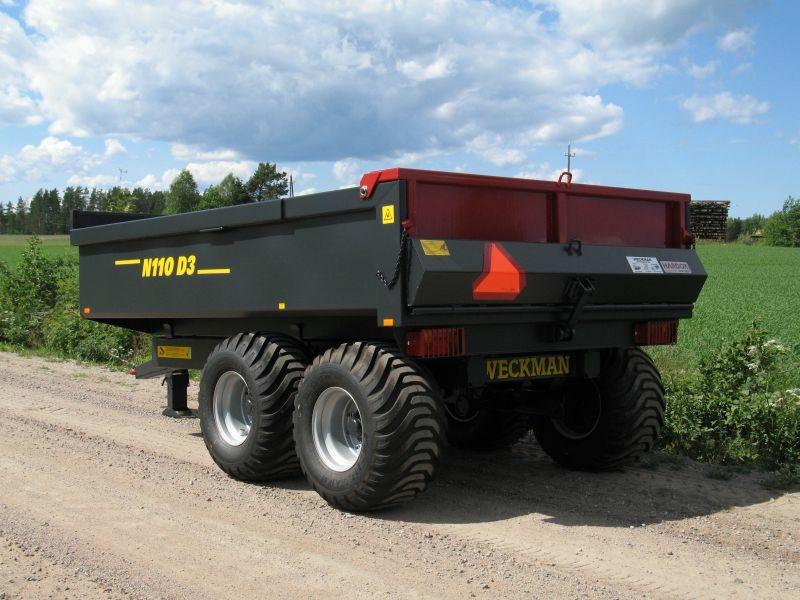 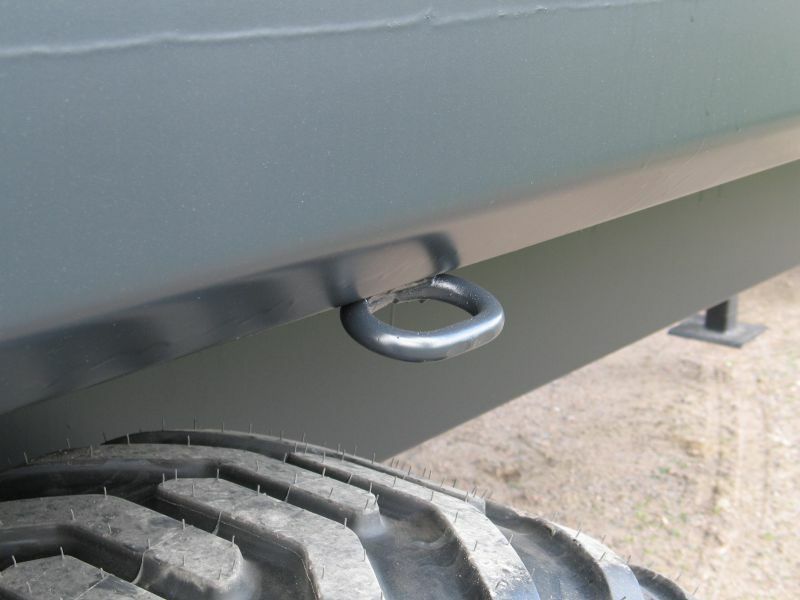 High-quality materials, meticulous manufacturing techniques and modifications made on the basis of customer feedback ensure that our earth-moving trailers will last for years. 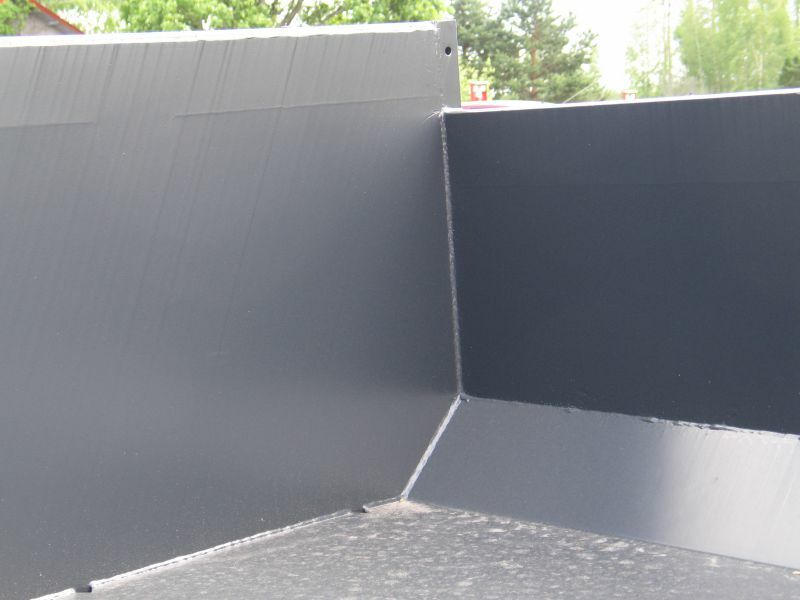 The side walls have no vertical support structures, which allows them to yield under pressure, preventing permanent deformation. 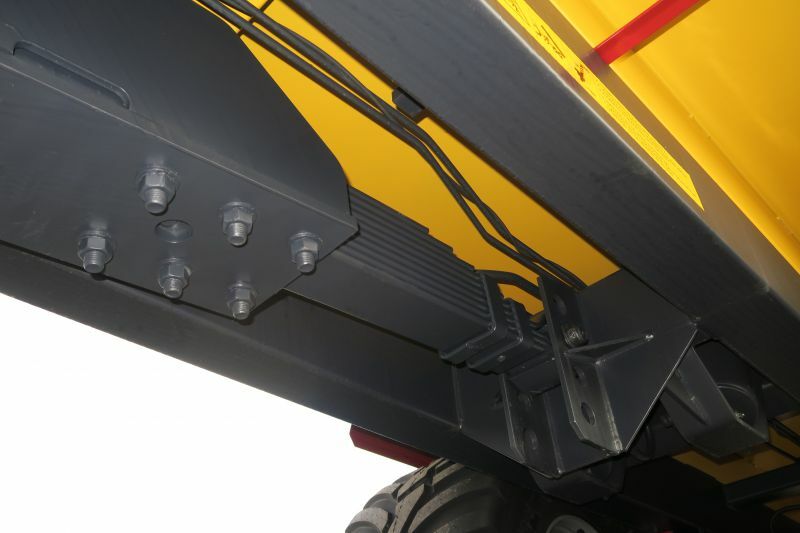 The bottom has the minimum of traverse support structures, allowing it to yield under pressure, preventing permanent deformation. 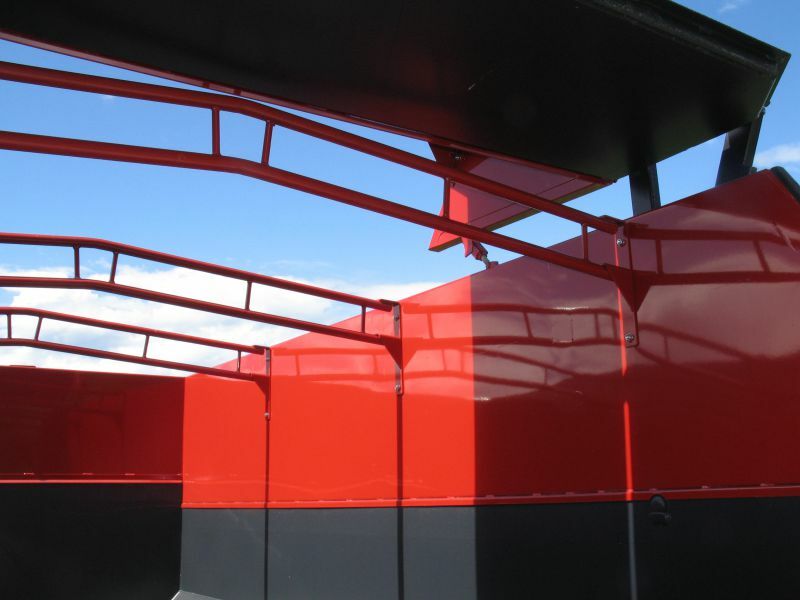 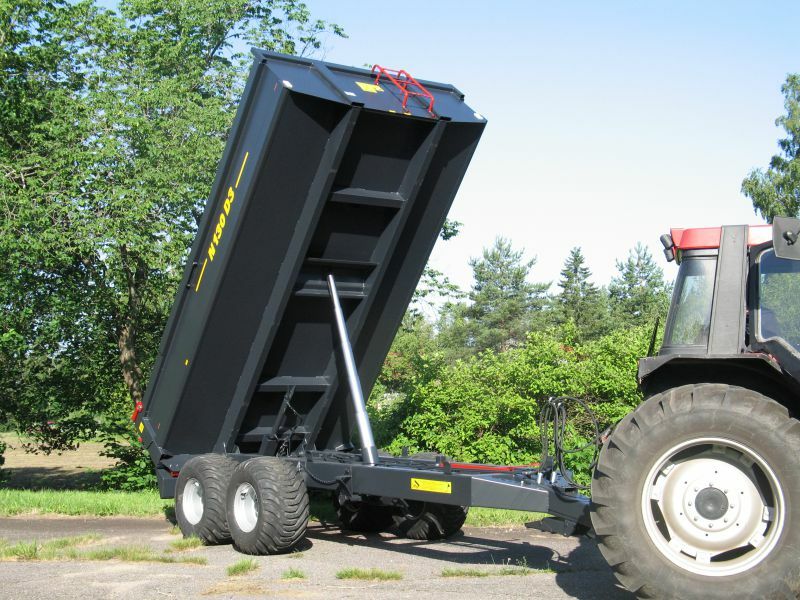 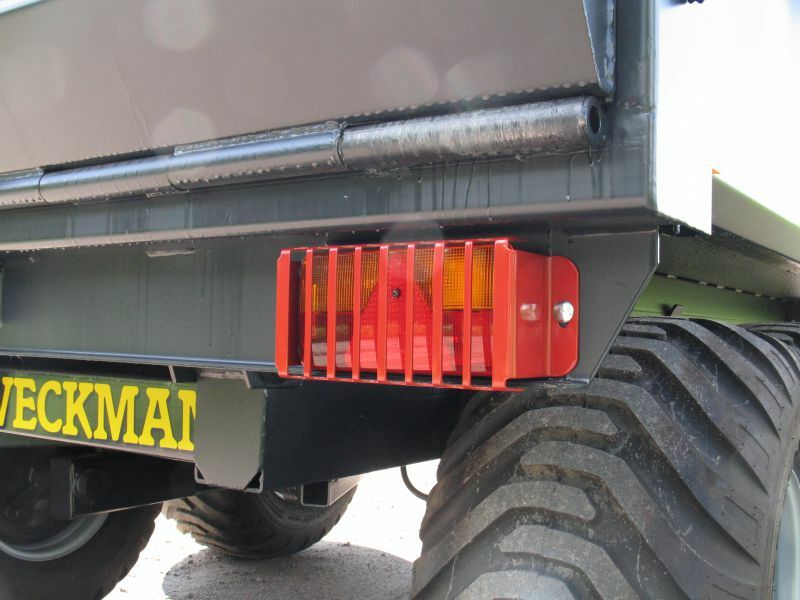 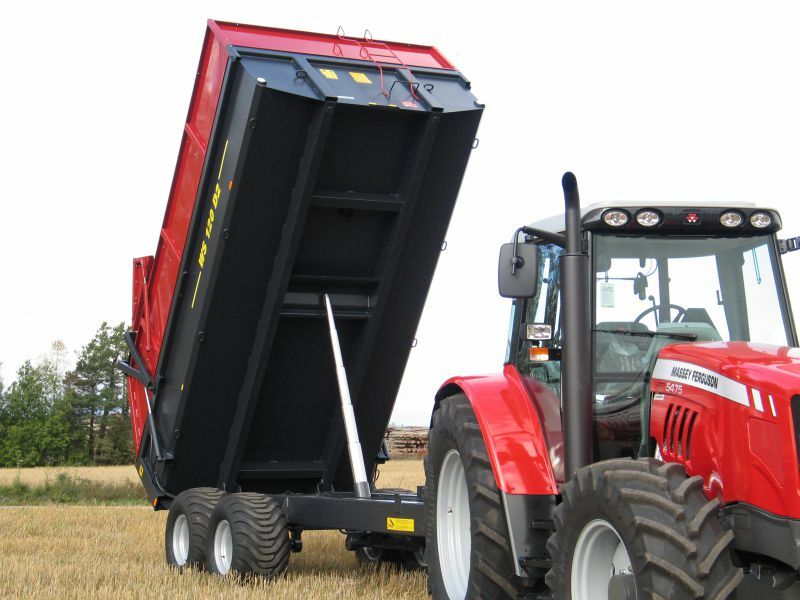 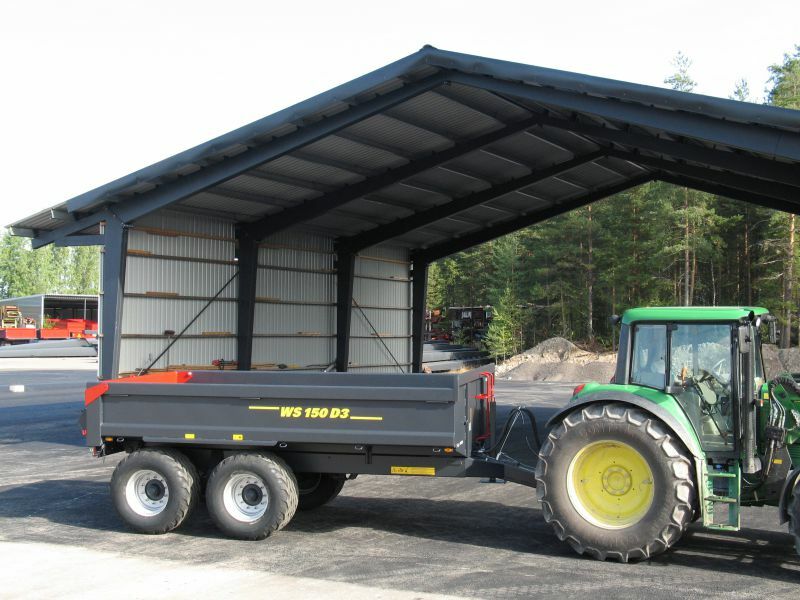 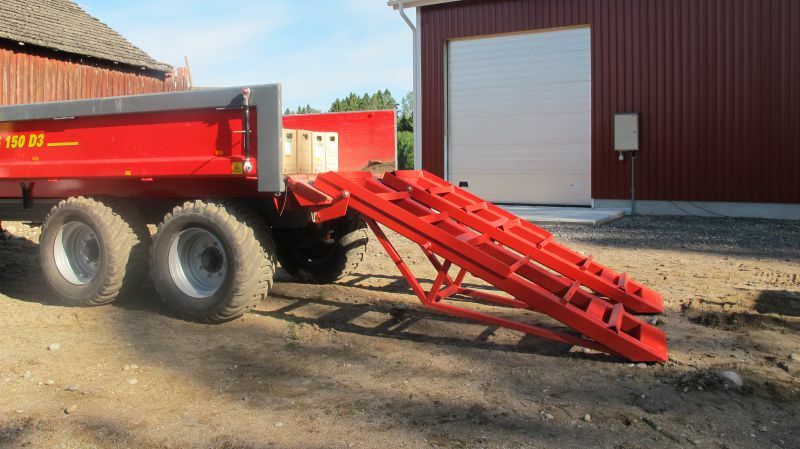 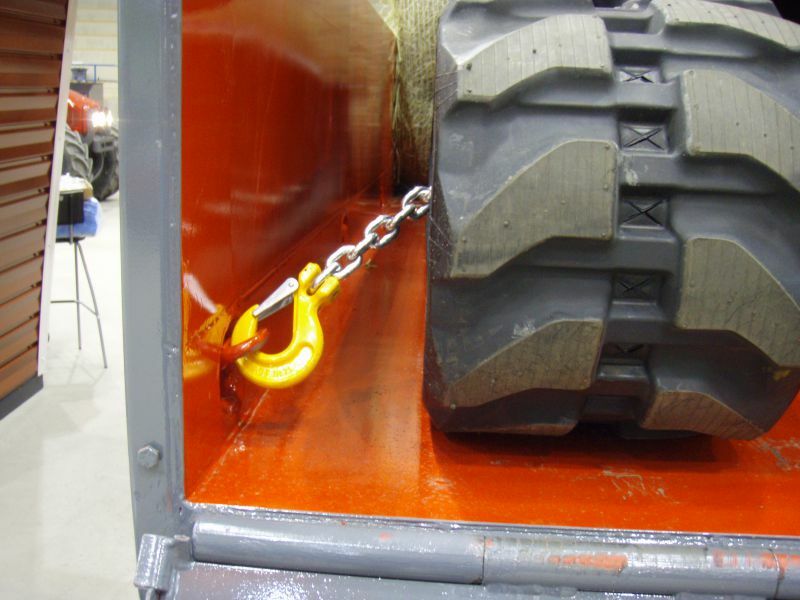 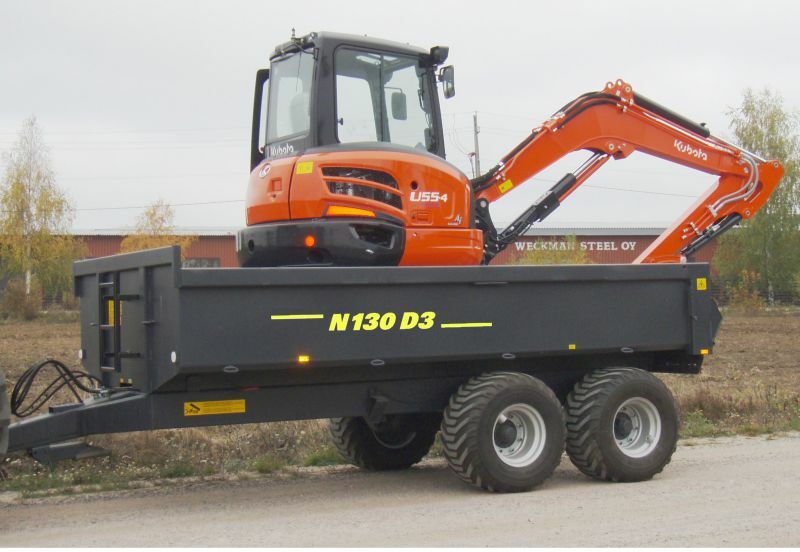 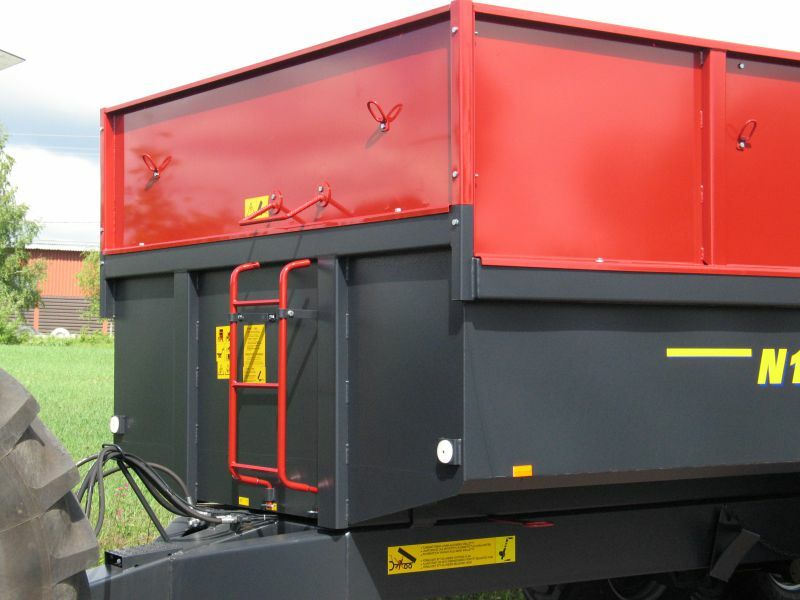 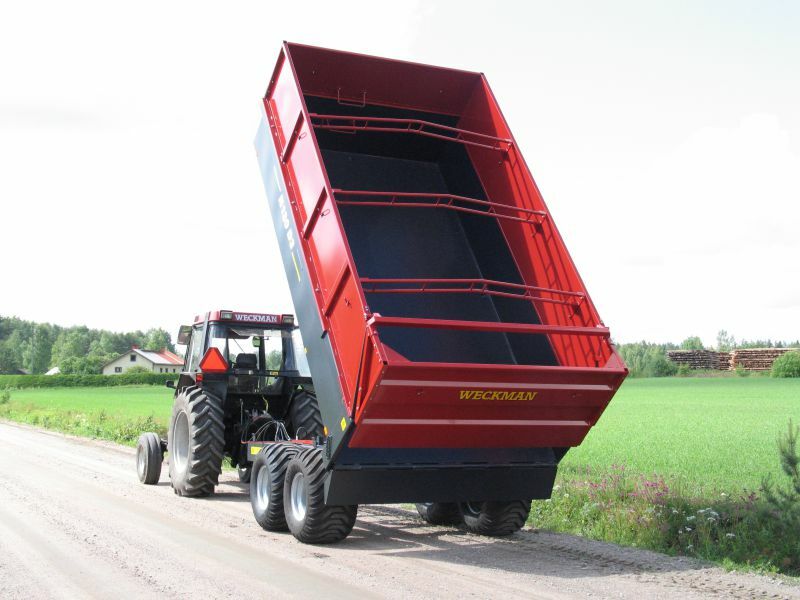 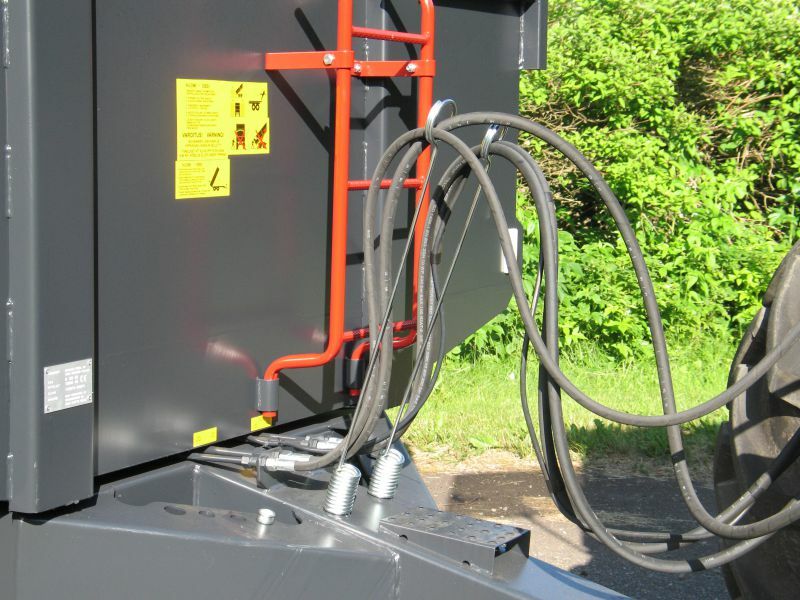 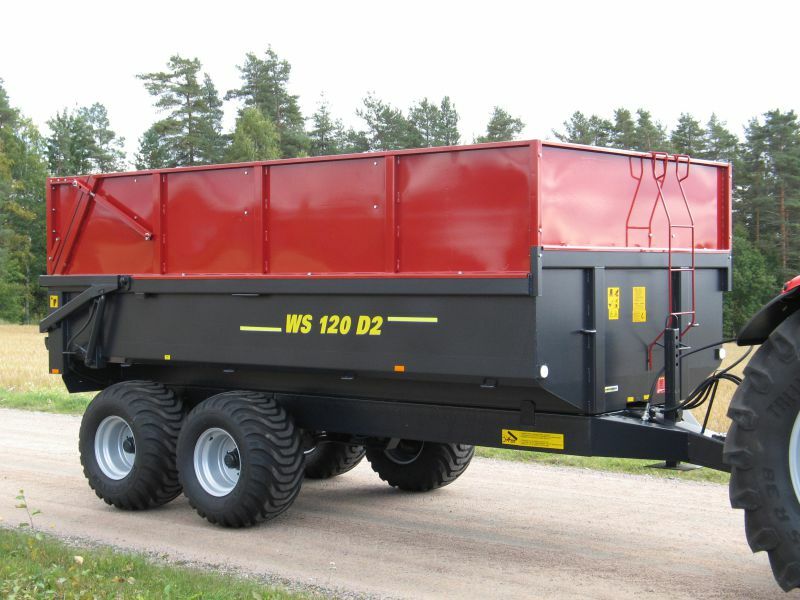 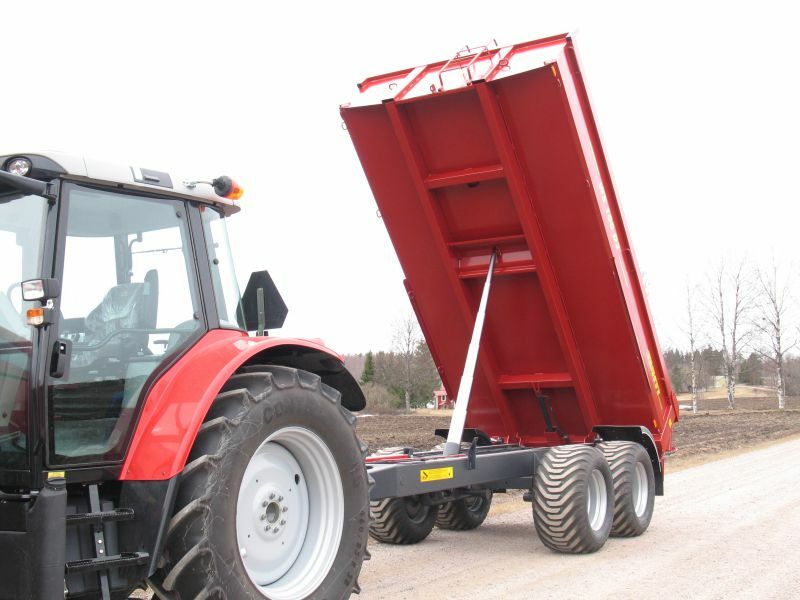 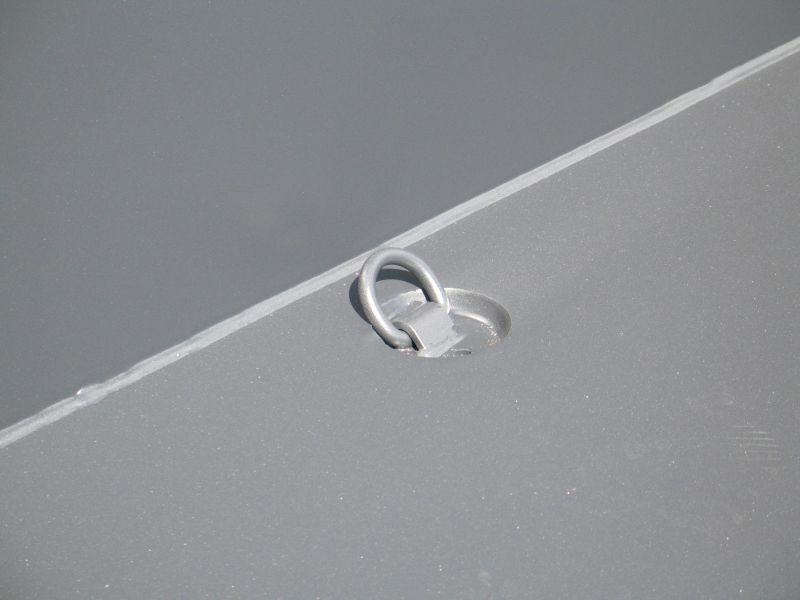 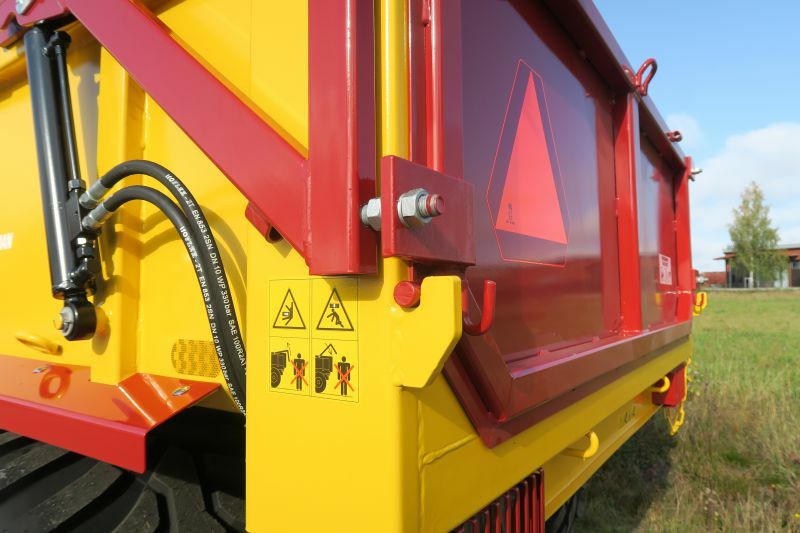 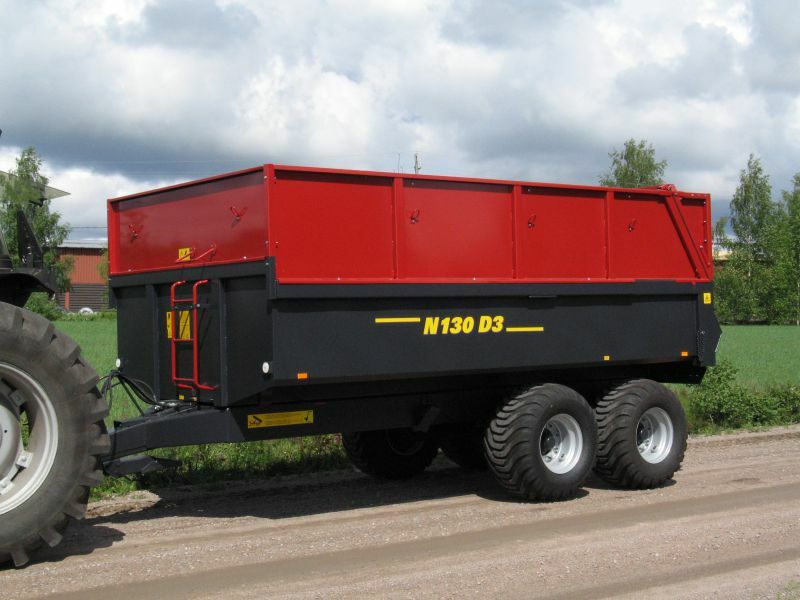 Trailers with a drop-down gate do not have any overhead structures that would hinder unloading (unless a separate gravel panel is used), and the drop-down gate can be turned down to extend the bed length by 40 cm, enabling longer items to be transported.